Today, hotels offer high-tech amenities that just a generation ago would be astounding — RFID key cards, customizable ambiance at the push of a button, and coming soon, humanoid robot concierges. So what started the high-tech hotel craze? It can all be traced back to the 1920s, when Americans started to demand a decidedly techno-centric flair in their hotels. At the start of the 1920s only about 35 percent of Americans had electricity in their homes. But when the Commodore Hotel opened in New York in January of 1919 it was to be a high-tech wonderland utilizing the latest that post-WWI inventors had to offer. From the bedrooms to the elevators to the kitchen, the hotel was a marvel of domestic electrical achievement — even if those of us here in the early 21st century might find them less than impressive. 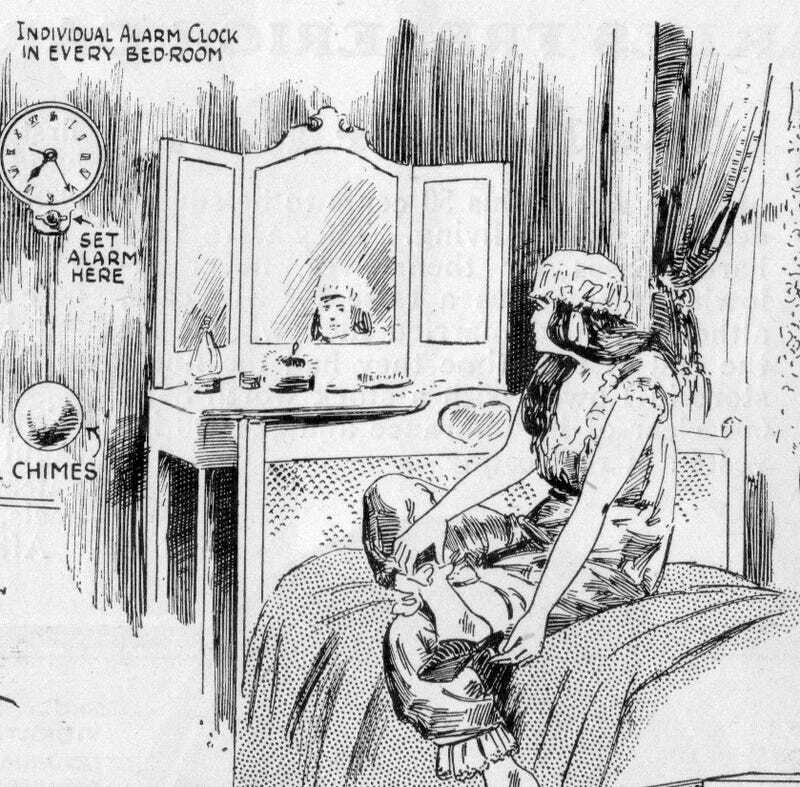 Take, for instance, the illustration above in the July 1921 issue of Science and Invention magazine. An alarm clock in every single room? How futuristic! "The guest walks over to the clock and sets it and then retires, and in the morning a pleasing chime awakens the slumberer," the magazine explains. Below, just a few other high-tech amenities that the Commodore Hotel had to offer, starting with the dishwasher, a modern wonder of hotel efficiency. And electric elevators that stop at the exact floor level: "not one half foot above or below." The potato peeler that "takes care of a whole barrel" to relieve cooks of this "unpopular labor:"
Automatic potato peelers may not scream "high-tech hotel" to those of us today, but you never know what retro gadget will inspire our next futuristic invention. Keep your eyes peeled.